P & P Glass of Cranleigh, Surrey, has been awarded Conservatory Installer of the Year at the G05 Awards and has passed stringent vetting criteria to become a member of the Guild Approved Ultra Installer Scheme, all in just one month. In the same month, the company has also become a member of the Guild Approved Ultra Installer Scheme. 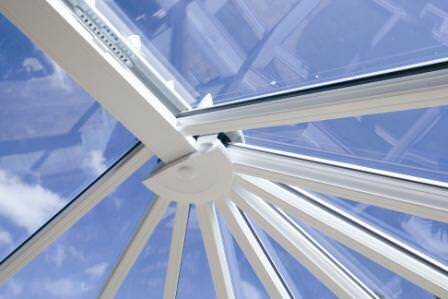 The Scheme, introduced by the market leader in the design and manufacture of conservatories, Ultraframe, gives homeowners confidence that they have selected an installer who will provide the highest standards of design, workmanship and customer service. To be accepted for the Scheme, companies have to meet standards set by Ultraframe, The Guild of Master Craftsmen and The British Board of Agrément (BBA). These include producing homeowner references and passing a thorough independent inspection carried out by the British Board of Agrément to demonstrate their ability to do the job to the highest standard and to ensure they offer excellent customer service before, during and after the conservatory is installed. P&P Glass has also committed to undertake regular training courses at Ultraframe along with ongoing inspections by the British Board of Agrément to ensure that the high standards of the scheme are maintained.